THASA is one of the few colleges providing national as well as international hairdressing qualifications. Become part of the THASA family and register today. 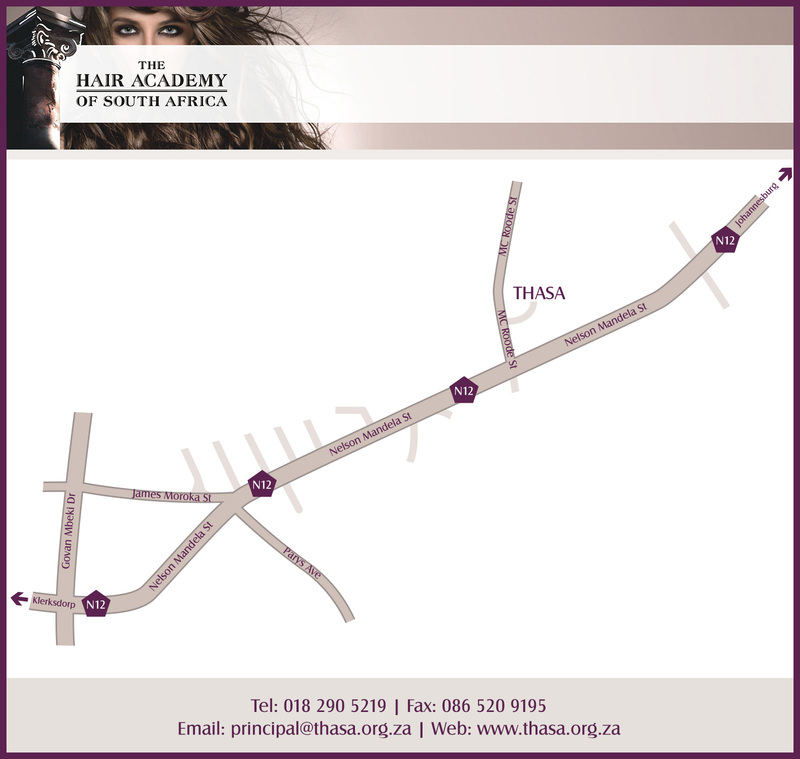 Download and complete the application form to apply for this hairdressing cource, and email to: principal@thasa.org.za. Note that * indicates a mandatory field. THASA Application Form - A printable application form in PDF format. Applicants have to be 16 years or older. Adults wishing to return to study are welcome to apply for this course. We will assist you in making your choice. For more details on the application procedure and fees please contact THASA. For more information about student loans, please visit our student loans page. At THASA we believe in equal opportunities and encourage applications from all, regardless of race, colour, ethnic origin, gender, nationality, belief, marital status, age, mental or physical disability or sexual orientation.